← Mixed Roast. Pork, lamb and beef. At Pacific Paradise on the Sunshine Coast I came across a bakery called Dough Fusion. They had quite a good selection of pies, so I tried their chunky steak which apparently was one of the best in Australia in 2008. 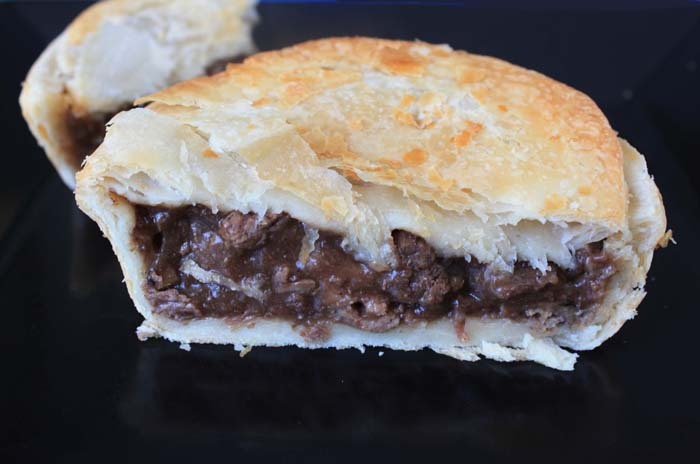 It was a very good pie, but a steak pie is a steak pie, there is only so far you can take it. They also had a hamburger pie, called a Dough Fusion Royale, on the menu. I was intrigued, so I tried one. The pie filling was basically a hamburger pattie with sauce and maybe some pickles in a pie. An interesting concept, but I think it could be done better. 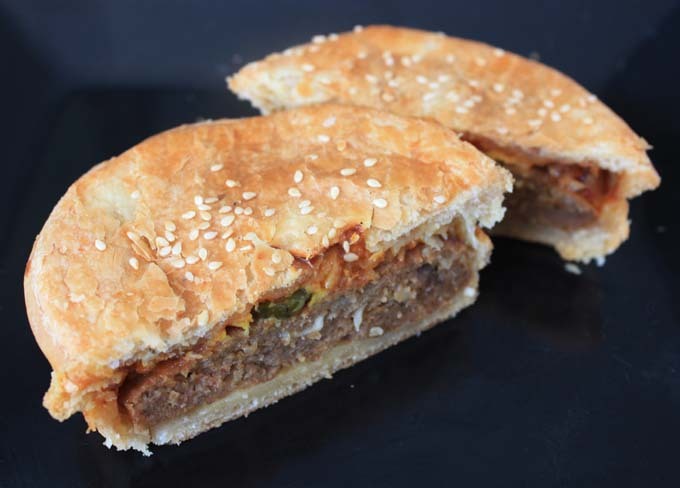 The pattie itself wasn’t fantastic, more like sausage roll filling than hamburger meat, and probably as a result of being cooked in pastry, it was a bit soggy. Overall, not a bad pie. I might try another one sometime. This entry was posted in Meat pies and tagged bakery, cooking, food, hamburger, meat, meat pie. Bookmark the permalink.